Interest in social justice has been growing among white evangelicals, even if some of the old guard within pockets of evangelicalism are writing “statements” against it. Dennis Edwards rightly notes that “political and social activism” as activities of social justice “are sometimes the tools available to Christians to make right what is wrong in society.” Nevertheless, some followers of Jesus remain hesitant when the call to justice makes itself known. For a long time, I shared that hesitation. I wrestled with questions like, “Should I personally advocate for justice? Should the church have an active ministry of justice? Is the work of social justice the work of the kingdom of God? What is my responsibility in the face of injustice?” I found much help in answering these questions in the life and work of Dr. Martin Luther King Jr.
Dr. King is rightly celebrated for his leadership in the Civil Rights Movement bringing dignity to people of color who had been systemically pushed down and held back by systems of structural injustice. However, for Dr. King, justice wasn’t limited to the eradication of racial injustice, but included the promotion of peace by retreating from war, most specifically the war in Vietnam. My first visit to the Martin Luther King Jr. Memorial in Washington D.C. remains a vivid memory for me. It was a sunny and warm April day. I had spent the afternoon walking around D.C. seeing the sights. I had already seen the World War II Memorial, and moved on to the Vietnam Veterans Memorial—one which holds deep significance for me because my own father is a veteran. The 58,000-plus names etched in that black granite wall to memorialize those whose lives were lost weighed heavily on me. Perhaps my dad’s name wasn’t among them, but each name represented a father, a son, a friend … and the long stretch of them filled me with dark despair. As I passed the Lincoln Memorial, it was not long before I happened to look down and see this phrase, “I HAVE A DREAM,” etched on the stone ground. I was standing in the very spot where Dr. King delivered his “I Have A Dream” speech.With thoughts of the awfulness of war still fresh in my mind, I checked my map and hurried off to see the the MLK Memorial. I passed the ominous Korean War Memorial with its statues of poncho-clad combat soldiers guns in hand. I crossed the street and passed through the white granite “Mountain of Despair” and then I came up to the man of peace, the stone of hope, Dr. King himself. It is not enough to say “We must not wage war.” It is necessary to love peace and sacrifice for it. We must concentrate not merely on the negative expulsion of war, but the positive affirmation of peace. For the first time that afternoon, I felt lighter. I felt the angst and despair beginning to ease. I felt a new hope rise in my heart. It is not an exaggeration to say my experience at the MLK memorial was a spiritual experience. My growing appreciation for the centrality of the peace teachings of Jesus collided with the work of those who strive for justice. Following in the footsteps of Dr. King is how we make a real difference in the world God loves so much. We (rightfully) celebrate Dr. King’s call for racial justice, but are we ready to embrace his broader understanding of justice by committing ourselves to a positive affirmation of peace and a rejection of all forms of violence? Reading the words of Dr. King solidifies the centrality of justice to the work of God in the world through those who are serious about following Jesus. Whereas many in our day are tempted to view the work of justice as outside the Christian vocation, Dr. King’s testimony helps us see justice as integral to the work of God in the earth through the church. I can personally attest to the ways Dr. King has challenged me to rethink what justice is all about. For a long time, I assumed justice was a matter of law. When someone breaks the law, those who belong to law enforcement would arrest the criminal and bring them to “justice.” In this way, I saw justice as primarily punitive—people getting what they deserved. But the Old Testament prophets and Jesus do not use the word “justice” in this very narrow way. He will bring forth justice to the nations … He will not grow faint or be discouraged till he has established justice in the earth (Isaiah 42:1, 4). While this justice does bring judgment for the wicked and evil doers, it also establishes the right way for human beings to treat one another. Justice, then, is not only about what happens to someone who commits a wrong. Justice is about treating all people with the dignity given to them as image-bears of the God of creation. Woe to you, scribes and Pharisees, hypocrites! For you tithe mint and dill and cumin, and have neglected the weightier matters of the law: justice and mercy and faithfulness. These you ought to have done, without neglecting the others (Matthew 23:23). The law was given to the ancient people of God to form them into a people of worship and justice. The Pharisees were missing the second part of that purpose. Conversely, Dr. King embodied that purpose. For Jesus, justice was the overflow of the kingdom of God coming from heaven to earth. Justice is the mission of God. 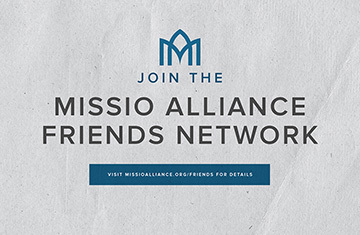 It’s the task of the church to make disciples fit for this mission. God’s purposes, set in motion by his covenant with Israel and brought to fulfillment in and through Jesus, are to set right a world gone wrong. With this mission in focus, the church is not merely engaged in acts of social justice and the vocal promotion of justice for the oppressed. Rather, the church works to make disciples of Jesus who live out the weightier matters of the law, who love one another, love their neighbors, and love even their enemies in such a way that justice is established in the earth. Dr. King preached this kind of justice and ultimately gave his life for it in imitation of Jesus Christ. Jesus died on the cross for reconciliation, reconciling humanity to their creator and “killing the hostility” between Jews and Gentiles and between all races of people (Ephesians 2:17). Dr. King offered his life to be a stone of hope cut straight out of the mountain of despair. We still live in a broken world where racism, war, exploitation, abuse, greed, sexual immorality, and pride still persist. But because the glowing light of Dr. King’s spirit is still alive and shining bright, we don’t hang our heads. Instead, we lift up our eyes with hope in our hearts. Today, let the words of Dr. King and his witness to justice resound in our hearts and minds. – Dr. Martin Luther King Jr., “I Have a Dream,” delivered August 28, 1963 in Washington, D.C. Check out Derek’s upcoming book, By the Way: Getting Serious About Following Jesus, releasing June 18, 2019 from Herald Press. Discover a community devoted to learning from diverse voices at the Awakenings Gathering: March 28-30, 2019 in Alexandria, Virginia. Awakenings is for people who are hungry to learn from diverse voices on difficult topics for the Church in North America. Register now! See more of our speaker line-up and details at www.awakeningsgathering.org! “God Used You to Destroy my World Today”: The Sign of a Good Sermon?